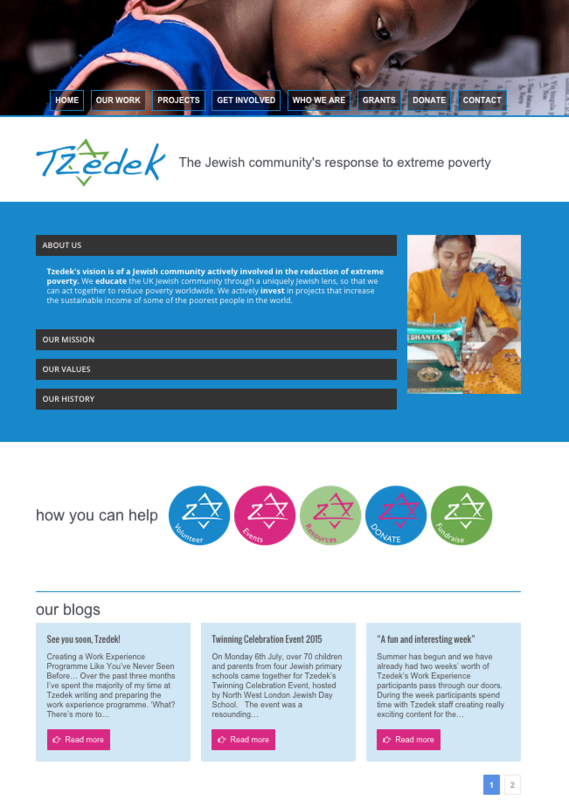 Tzedek is a charity that focuses on encouraging and assisting the Jewish community to be actively involved in the reduction of extreme poverty in the UK and overseas. 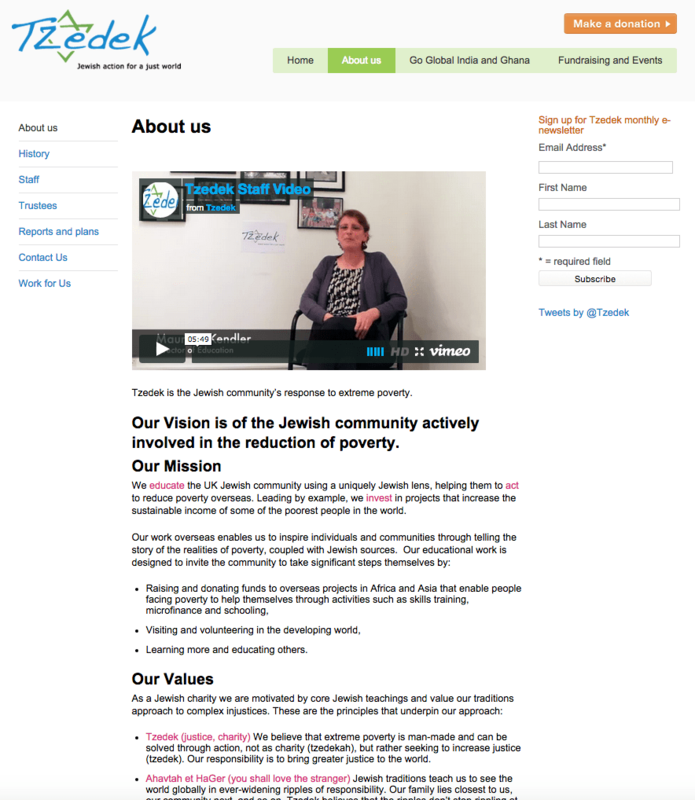 SheShe rebuilt the original site, as seen below, end-to-end and created a mobile optimised product with new information architecture, navigation, UX, and interface design. We especially focussed on improving the user experience, making it easier to find the content that users wanted and enhancing the website’s usefulness and usability. We migrated/edited the content from the original site and made sure the staff were empowered to update the new content themselves. 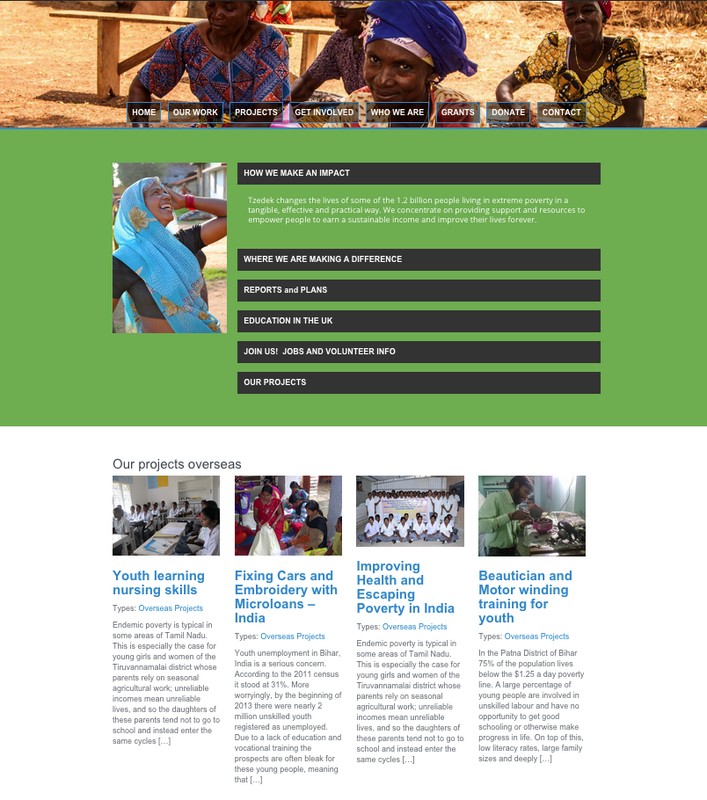 The project resulted in a completely rebuilt brand and digital presence that is clear, pleasing and engaging. 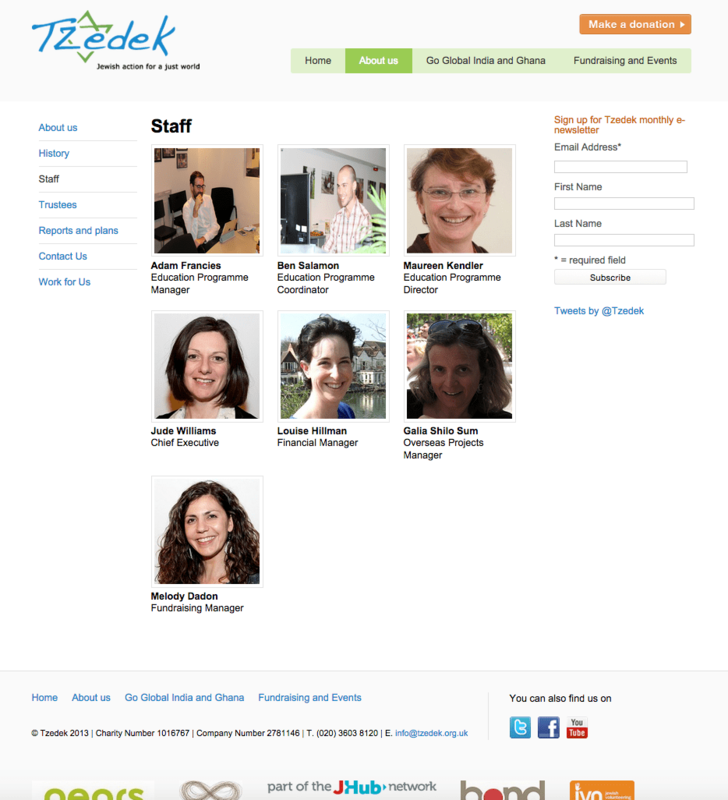 A comparison of the original home page with the new design and features. Adding concertinas allows blocks of info that are needed by first time users that can then be out of the viewing real estate for regular users. 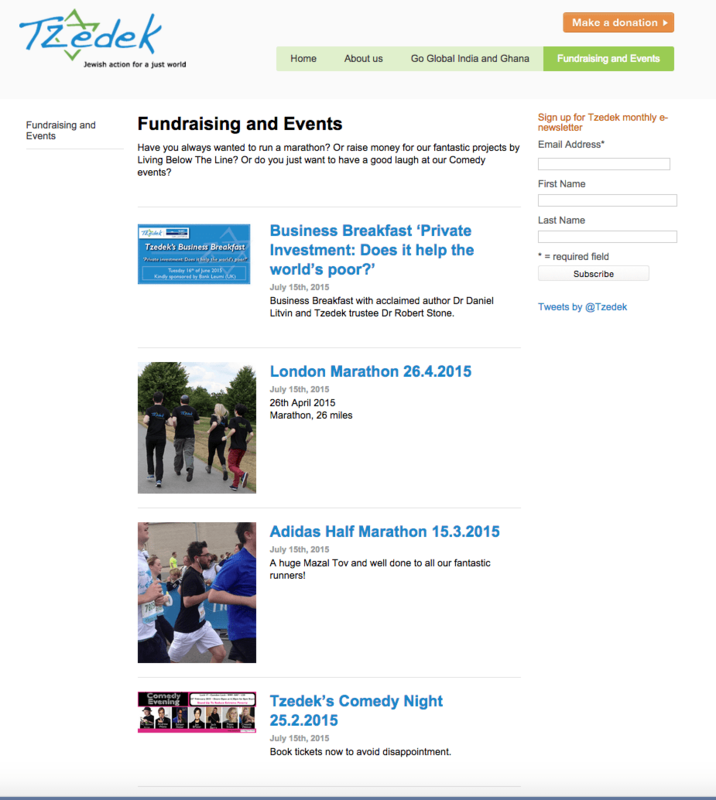 The header images are bright, engaging and refresh to display variations on every new page. Featuring the blogs on the home page presents fresh content, and the prominent yet pleasing icons allow for rapid interaction with the five main information paths. This enhances the overall navigation which has been redesigned to be simple and straightforward.